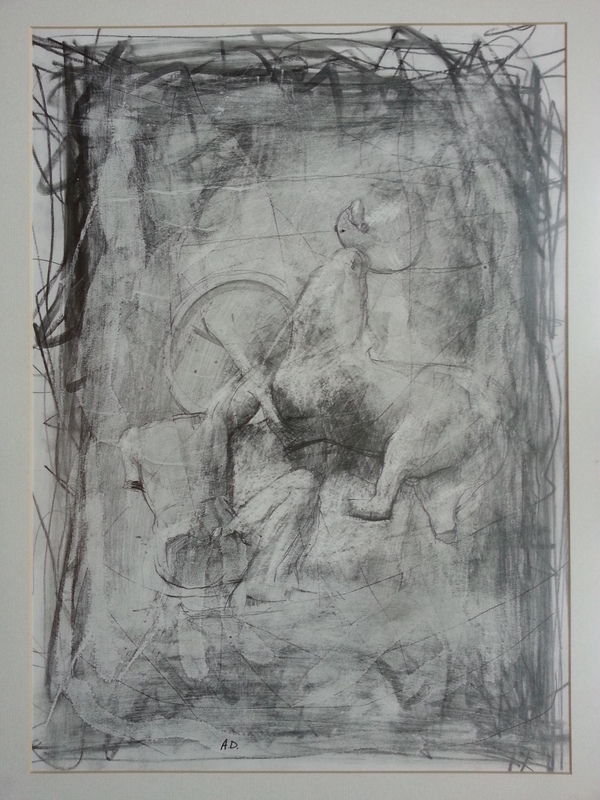 British Art Schools have always emphasised drawing though it has fallen out of vogue during the post-modern era. Alan Dedman was taught by a succession of graduates from the Royal Academy Schools including Anne Roberts, Nicholas Ward and Eric Luke. 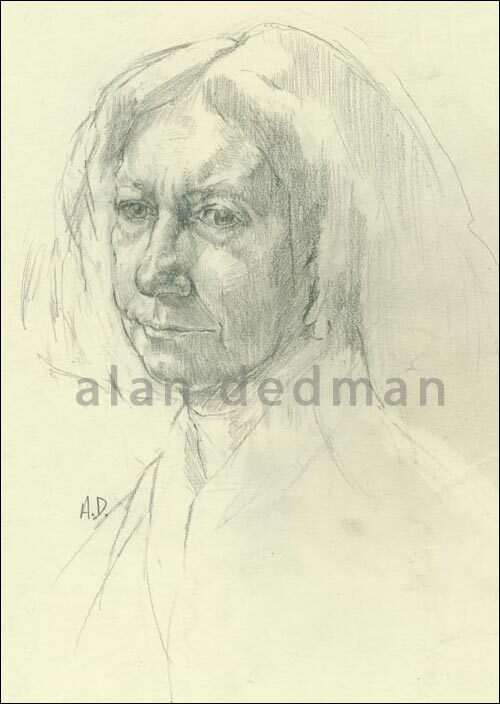 When Alan was a student, the drawing master was Norman Blamey RA. Blamey’s paintings (see ‘Self-portrait with decoy duck’ in the Tate Gallery collection), were made using a palette knife and masking tape only. 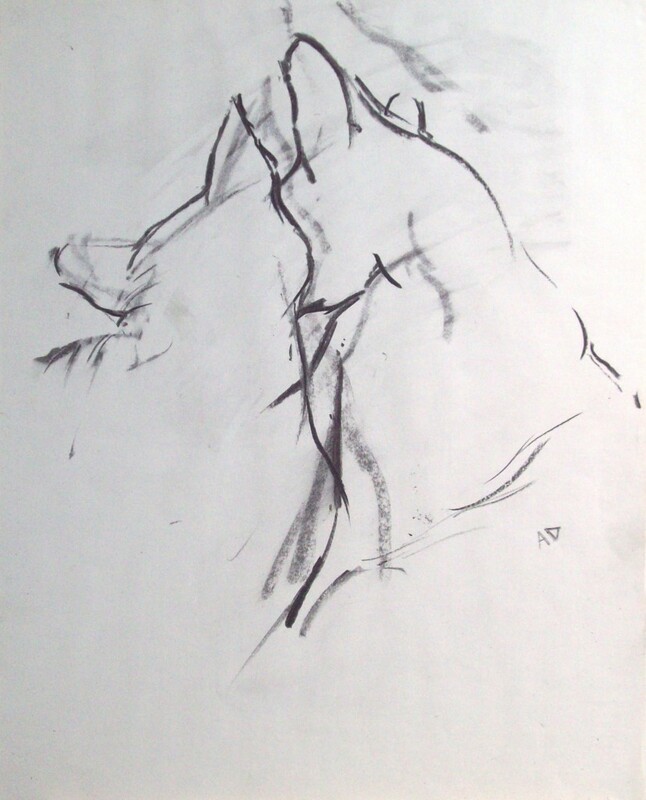 The approach Blamey took was distinctly ‘Old Master’; his genial (rather dry) style has since been replaced by Tracey Emin. A Classical training is the springboard against which Alan’s work is based. The gentle discipline of engaging with subject matter through observation still has relevance. The trend for lense and screen based reference has spawned less critical awareness amongst Art students. Alan Dedman maintains our body imagery has been distorted by a generation of desk-top publishers, who would rather stretch photo’s to fit a layout, than let realism prevail. Much of Dedman’s alternative work is a reaction to the strictures of the Classical tradition, though we can discern evidence of it in all he does.You can learn about individual projects on his B-L-O-G click here.